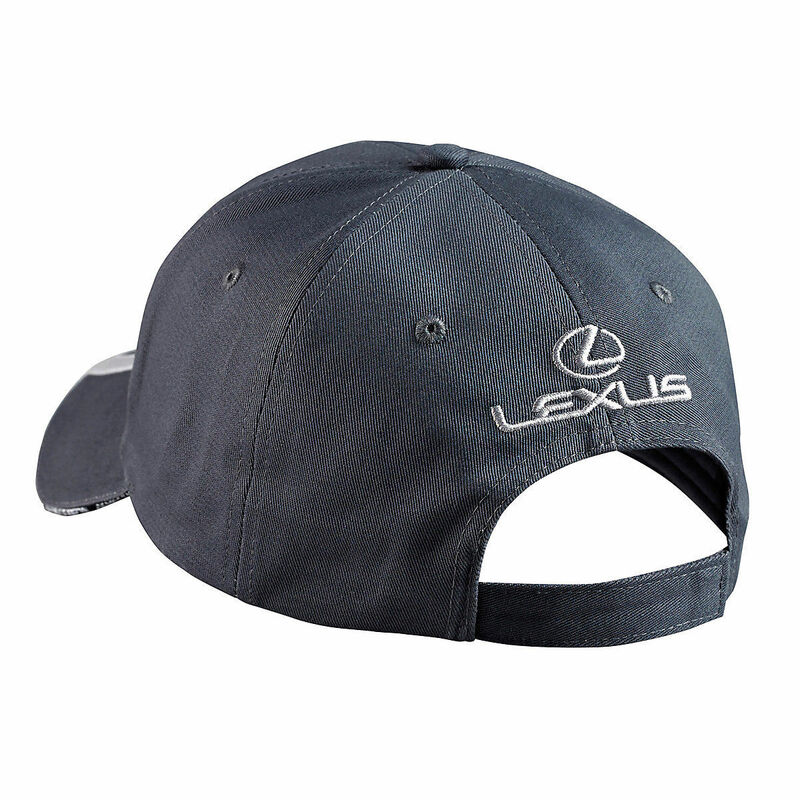 Lexus F Dark Gray Hat made of 100% cotton. 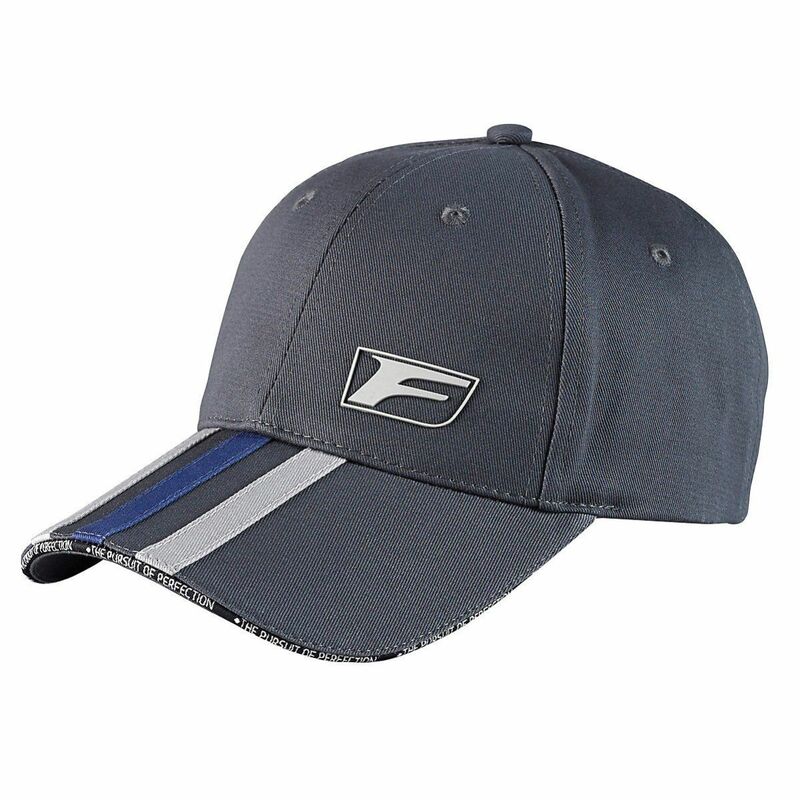 Rubber F logo on the lower left front crown in light gray. The visor has matching light gray and blue stripes in the center. The visor brim edge is black with the repeated tag line "The Pursuit of Perfection" in white letters. A Lexus Linear logo is embroidered on above the back strap.